Beautiful, colorful bitters are a great way of preserving a moment in time from your garden. 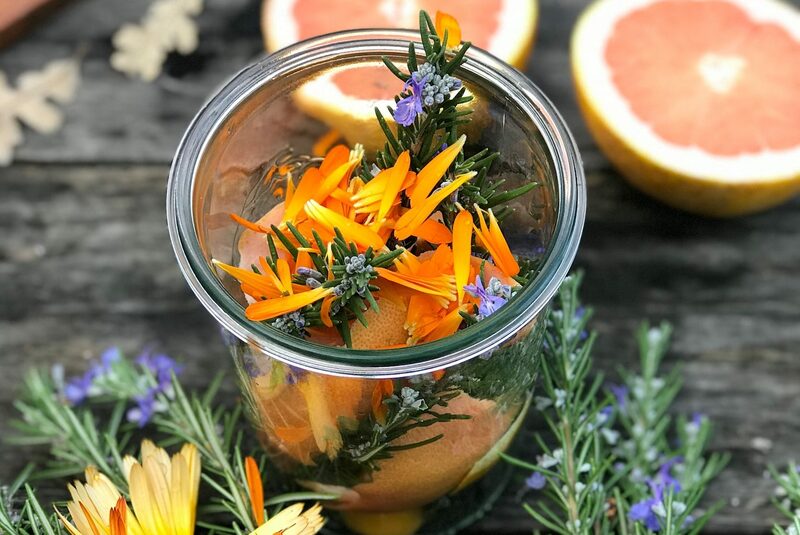 Make your own citrus-based winter bitters in this workshop with landscape designer and garden writer Stefani Bittner while you learn about how to grow and care for the wonderful varieties of citrus, herbs and edible flowers that grow locally throughout winter and early spring. Participants will choose their own ingredients and make their own personal jar of bitters to take home along with a recipe for making more at home. You will come away knowing about the medicinal and digestive benefits of bitters, how to care for winter citrus, and knowing what to plant now for your spring garden, and what will be coming soon to plant for summer. Stefani Bittner is owner of Homestead Design Collective, a San Francisco Bay Area landscape design firm focused on creating beautiful gardens that provide harvest. Homestead provides design, installation, and full-service organic maintenance, harvesting, bee keeping, floristry and composting services. Homestead designed and installed the new Test Gardens for Sunset Magazine in Sonoma. Their work has been featured in San Francisco Chronicle, Sunset Magazine, C Magazine, Los Angeles Times, NY Times, Wall Street Journal, Better Homes & Gardens, and Vogue.com. She is the co-author of both The Beautiful Edible Garden (Ten Speed Press) and Harvest: Unexpected Projects Using 47 Extraordinary Garden Plants (Ten Speed Press).